Several weeks ago my wife gave me a $25 gift certificate for ThinkGeek. It took me a while to decide what to buy using the gift certificate. 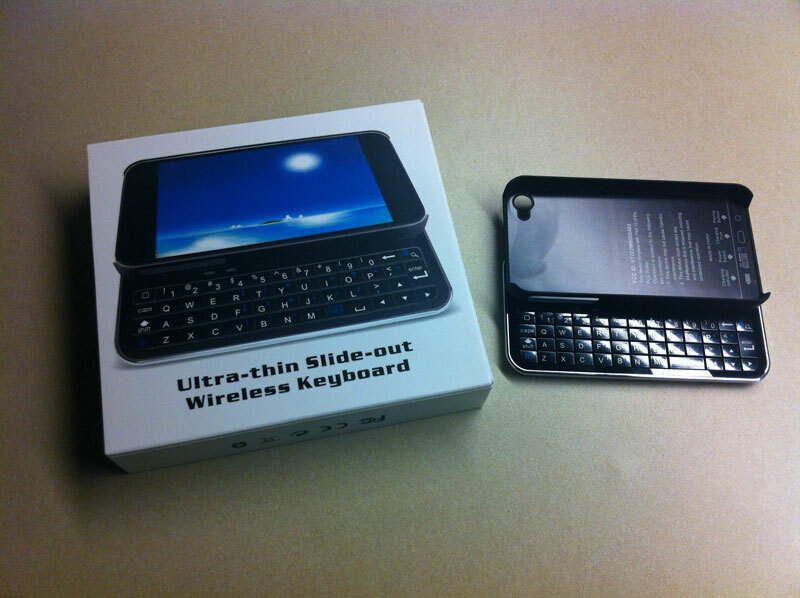 Eventually, I decided to get a Bluetooth Sliding Keyboard Case for iPhone, which cost about $35 before shipping. I’ve never been especially happy with the iPhone on-screen keyboard. It’s not terrible but I thought a physical keyboard might be more useful for writing longer e-mails or notes. Unfortunately, I haven’t used it since the first week after it arrived. In the end it just isn’t as convenient as I was expecting. It’s lacking two features that I think might have made it useful. First, the keyboard (at least on this version) isn’t backlit so it’s useless in low lighting conditions. The other reason, which might have made it more useful in the dark, is the lack of any kind of bumps or other markers on certain keys that would provide a form of touch-typing. Instead, I spent the entire time looking at the keyboard while typing because all of the keys feel the same. The product certainly works as expected, but it doesn’t have enough features to make it more convenient to use than the on-screen keyboard. Quite frankly, I would have been more satisfied if I had purchased something else from ThinkGeek. Updated 11/18/2012: I tried using this product again several months ago but it just isn’t practical. Updated 12/10/2012: I sold it in a yard sale for a few bucks.